For many, the start of a new year is an opportune time to create new health goals. While joining a gym or taking long walks after dinner are common New Year’s resolutions, scheduling a dentist appointment happens to be another. What if we told you that a safe, convenient, and trustworthy dental clinic in Philadelphia can help improve your health goals? 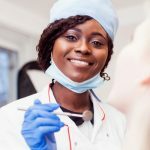 The top-quality dental care from students under the instruction of University of Pennsylvania School of Dental Medicine faculty provides patients with a unique opportunity. The teaching environment of Penn Dental Medicine ensures that you will be treated with the latest approaches in dentistry. This means that as a patient you receive dedicated and innovative oral hygiene care, dental cleanings, specialty dental services such as prosthodontic and endodontic care, and so much more. Another common resolution is improving time management. What does that have to do with finding a dental clinic in Philadelphia? More than you might think! Consider the range of oral health care needs that one person, let alone an entire family, might encounter throughout a year—dental cleanings, fluoride treatments, endodontic treatment for tooth pain, prosthodontic expertise for a chipped or cracked tooth. Oral health issues are more frequent than you might imagine. 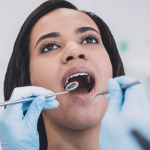 According to the Center for Disease Control and Prevention (CDC), upwards of 90% of American adults have had a cavity, and 1 in 4 has untreated cavities. Additional data reflects that 7% of people in the U.S. have lost at least one permanent tooth due to decay by the age of 17. The highly-specialized practice of prosthodontics addresses a range of dental issues from missing and damaged teeth to problems associated with the oral bone structure. PDM happens to house the only graduate prosthodontics program in the Philadelphia area. Patients who receive prosthodontic dental care are treated with state-of-the-art technology to increase comfort and efficiency. When the inside of the tooth containing the pulp (soft tissues such as nerves and blood vessels) become infected or compromised, an endodontist will help diagnose and treat the issue. 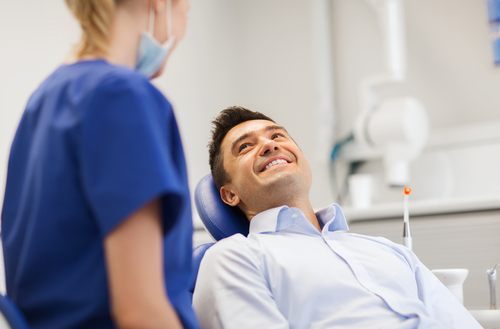 Endodontic treatments include root canals, vital pulp therapy, and non-vital tooth bleaching. There is more to dentistry that treating the teeth and gums. The scope of oral medicine also encompasses oral disorders and conditions such as oral mucosal disease and orofacial pain. PDM specialists employ specific techniques depending on the condition. Whenever possible, non-surgical management will be attempted to safely and effectively address oral health conditions. When dental trauma has occurred, oral surgery may be required. 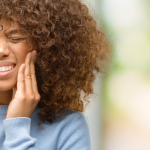 In addition to injuries involving the teeth, gums, and jaw, oral surgery is utilized to address impacted molars and wisdom teeth, temporomandibular joint and pain control, dental implants, bone grafting, and more. Periodontal disease, commonly known as “gum disease,” can be uncomfortable, painful, and even lead to missing teeth. According to the National Institute of Dental and Craniofacial Research, 5.08% of adults in the U.S. ages 20 to 64 have moderate to severe periodontal disease. Periodontists aid in treating and helping to prevent periodontal disease. In some situations, dental implants may be recommended to replace teeth subjected to severe decay and damage. In many scenarios, patients need to seek orthodontic care separately from their primary dentist. At PDM, our postdoctoral students offer patients the convenience of orthodontic treatment onsite. Those in need of orthodontic treatment can choose from a variety of options such as braces or clear aligners. 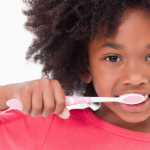 Children require specialized dental care. The American Academy of Pediatric Dentistry (AAPD), recommends that a child first see the dentist as early as the emergence of the first tooth, or by a baby’s first birthday. The earlier a child becomes accustomed to visiting the dentist, the more comfortable and equipped you’ll be for future dentist appointments and in achieving the best oral hygiene habits. At PDM, we’d love to help you check one valuable health goal off your checklist by becoming your dental clinic in Philadelphia. In addition to the dental services listed above, we offer comprehensive dental care in the form of dental checkups, cleanings, fluoride treatment and more. Whether you’re seeking dental treatment for a problematic issue or simply need a new dental home, we can help start your new year off right by scheduling a dental consultation. To learn more about best oral health practices, our full menu of dental treatments, or to make an appointment with an affordable dental clinic in Philly, call us now at 215-898-8965.